1. Given the limitations of translation learning Hebrew gives the reader access to “subtleties of Hebrew” lost in translation. 2. 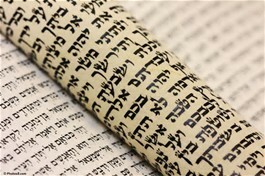 Poetry and all figures of speech rely heavily upon the sounds and meanings of original Hebrew. 3. The resources used by those who engage in the study of the Bible or Hebrew text require a working knowledge of the language. Even such items as Concordances, journal articles, grammars, and even commentaries. 4. One needs to be able to think and engage the text critically and not simply rely on commentaries and translations of other’s. The weaknesses of the studies if others can also be strengthened. 5. It strengthens the sermon preparation and lesson preparation. 6. It leads to a greater understanding of the culture. 7. It enhances the students communication skills by adding to the understanding of linguistics in general. Thanks! I appreciate the time you took to read and comment! I’ve been doing a lot of Greek and sometime in April I plan to renew my Hebrew with small daily verse exercise so this was good to read this post! That’s really great to hear! How long have you been studying/using Greek? My knowledge of Hebrew pretty much went out the door and it was the Biblical language I was least exposed to. In all honesty, my Greek is pretty rough as well, since I didn’t place emphasis on retention. I first started in 2006 in undergraduate but it wasn’t until 2010 that I believed I really caught it. That’s not to say I’m an expert as I know there’s guys out there who really mastered it. What grammars do you use for Greek? And do you have any in mind for you to use as a review in April for Hebrew? i use Dan Wallace’s “Greek Beyond the Basics” as my routine reference. How about yourself? Next month for my Hebrew I was thinking about starting small with “Devotions on the Hebrew Bible” by Milton Eng and Lee M. Fields. I purchased it because of its devotional format. That’s a great book! It is extensive. My first Greek professor was really old school (and fairly old he was 80) so he used Machen’s edited Greek grammar. And then my 2nd Greek professor loves the format of James Allen Hewett’s “New Testament Greek”, as a primary text, and David Black’s ” It’s Still Greek to me” as a secondary text. How’s your vocabulary? There’s a really neat book for vocabulary, I can look for the title if you’d like. I’ve also added a few extra resources and grammars as I found them along the way. The book you’re using for reviewing Hebrew sounds interesting! Does it teach basic grammar? For Hebrew I am mainly using Lee Roy Martin’s grammar and workbook. I have also found an amazing grammar and workbook, with syllabus and links to video lectures created by a professor at The Master’s college. Good stuff! I’ve used Machen and also another self-published work by a man name Nofer which I thought was the best but I haven’t been able to find it anywhere and I have some old Xerox copies somewhere. I’ve not heard of James Allen Hewett before and I’ve read David Black’s introduction to Textual Criticism but that’s it. Unfortunately the Hebrew devotional book isn’t a systematic grammar book but just points out Hebrew grammatical and syntactical insights here and there. I would like to know the Greek vocab book! I can always work on my pool of Greek vocabulary. I can do some sight readings but of course some words I’ll miss. For my beginning Hebrew I’ve used the materials put out by the Master Seminary and Waltke as my main grammar reference…though I haven’t preached from the Old Testament in years. How did you feel about the Machen text? It was pretty difficult to handle in the first year, but once I went back to it after having been midway through my second year of Greek I loved the layout and how it was organized. I cannot recommend Hewett’s book enough. I like Wallace’s grammar, but it felt like it went to far in detail at the beginner level and it was also a massive book. I will get the title of the vocabulary book for you soon. I cannot remember where I stashed it.